Have you ever heard the idiom “It’s a numbers game”? It’s used to talk about scenarios in which you create an increase in a certain type of action so that it leads to a greater chance of a particular outcome and thus, success. Take dating – if you look at it as a numbers game, it is believed by many experts that the more people you meet, the better your chances are of finding love. Now think about innovation and innovating. How you gain greater success with innovation is not just by trying more times, but creating environments where there is collective thinking and creative action that allow for not just more ideas but a range of ideas and opportunities to solve the problem or reach the goal you have. Steven Berlin Johnson talks about this in his book “Where Good Ideas Come From”. He points to the coffee house of the early 1700’s and people coming together to share ideas. He also points to the world-wide web of today as a place where many and varied ideas allow for connections to happen that lead to innovative outcomes. The “numbers game” and collective effort also happens in nature. 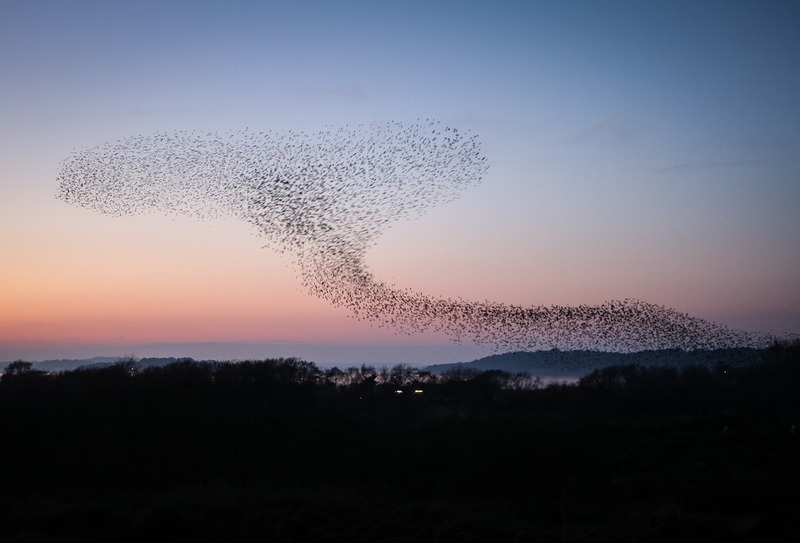 Starlings are a bird that fly in large flocks in a connected way that seems coordinated although there is no one coordinating them. This is called flocking or murmurations. When starlings flock, they move together but no one bird is leading. It seems random but actually has a purpose like avoiding a predator. In business, innovating through multiple tries and an environment of collective and diverse collaboration, looks like bringing together disparate parts of a company to work together for a cause. And creating the environment to empower ideas and action that are locked in on the common goal or mission but not the particular path to achieve it. Whether you are trying to achieve innovation or love, it is important to play the numbers game but also to put yourself in and create environments that cultivate collective thinking and creativity so you will LOVE your results.